On January 15th, students of the master program Human Resources Management at the Martin Luther University of Halle-Wittenberg had the chance to learn how Industry 4.0 can successfully be put into practice. 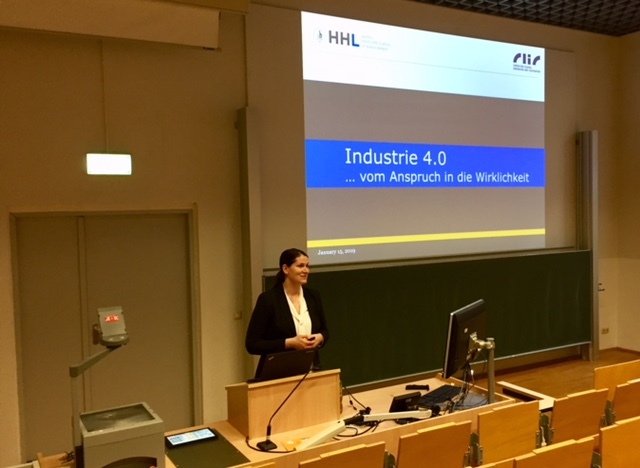 In a presentation on the topic “Industry 4.0 – From What to How”, CLIC’s Executive Director Dr. Claudia Lehmann elucidated why Industry 4.0 is more than a buzzword and outlined the practical challenges for companies that come with digital production. For that purpose, she shared the findings of the BMBF funded Industry 4.0 projects “PRODISYS” and “S-CPS” with the students and discussed together with them how organizations can face digital change – not only from a technical perspective. The presentation was part of the practice related acquisition of skills that is included in the interdisciplinary curriculum of the study program.